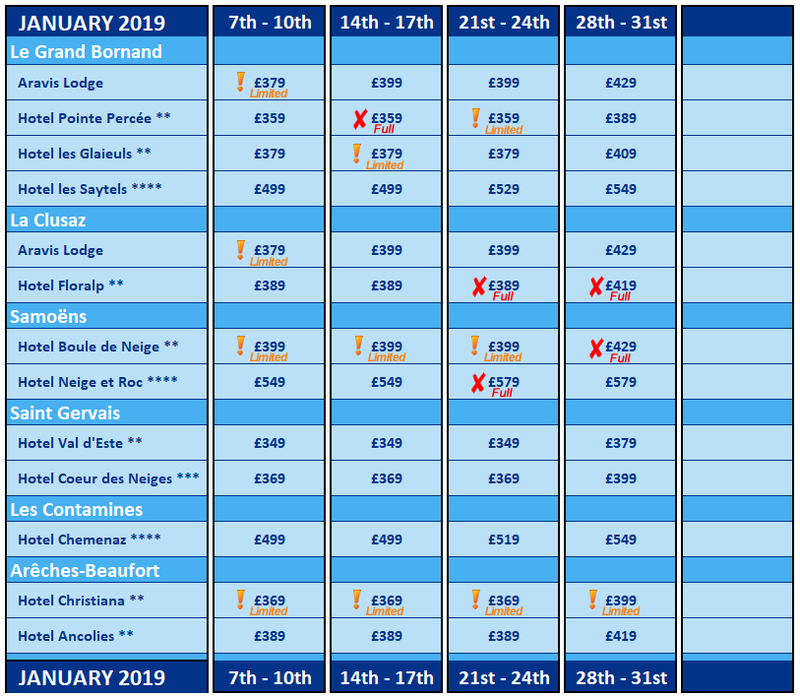 Please see below to compare prices and availability* on all dates for Winter 2018/19 across all of our resorts and accommodations. 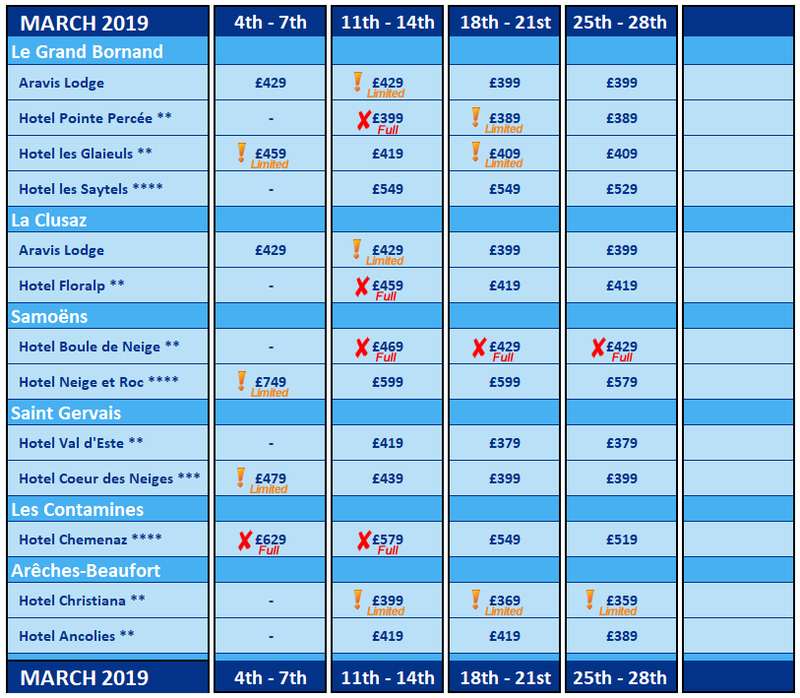 Prices are per person & include airport transfers**, catered accommodation and ski lift pass. Please see each accommodation pages for full details of the package included at that location. If you need more information about any aspect of our holidays, just call us or contact us and we can answer all your questions. 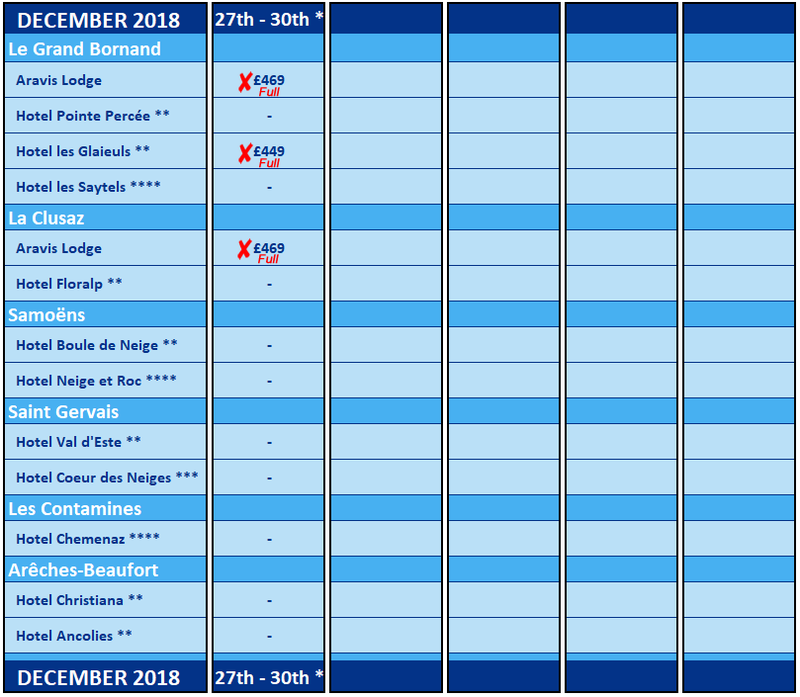 *Availability can change suddenly at any time due to other bookings coming in. **Our packages include airport transfers for flights scheduled to arrive into Geneva between 1500 – 2115, and for departure flights taking off at 1600 or later. On departure, your airport transfer will leave the resort 3 – 3.5 hours before your flight time, meaning an evening flight from about 2000 onwards will let you ski all day on your last day. *N.B. 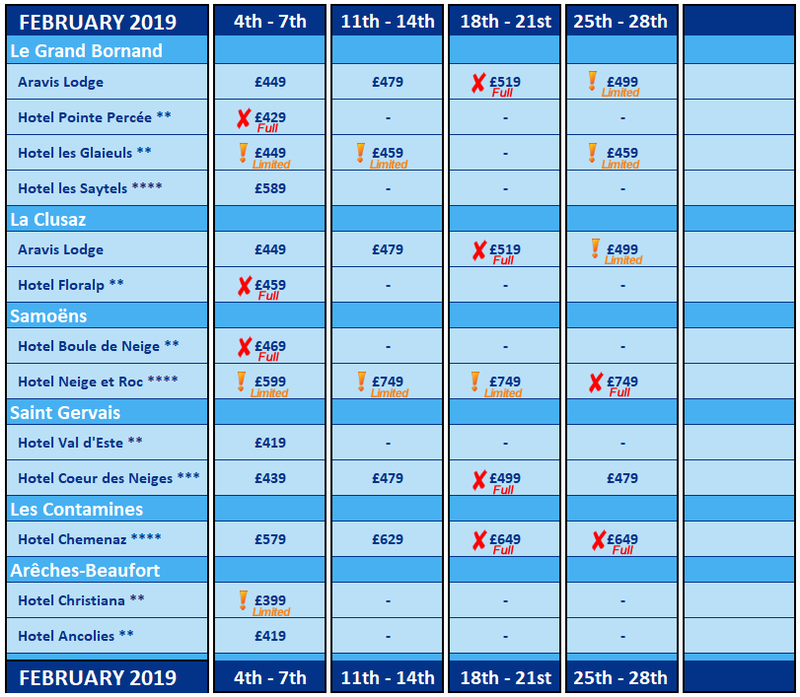 our Midweek break over New Year 2018 – 2019 has non-standard Thursday – Sunday travel dates, for this break only. All other Midweek breaks run from Monday – Thursday. 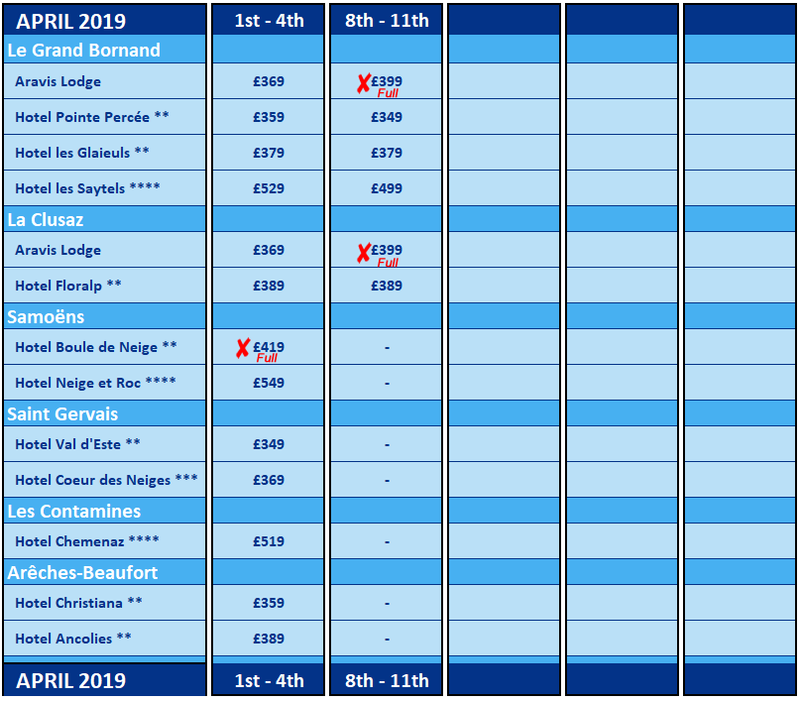 If you have seen a Date and Price that you may be interested in – please use the quick-link tool below to visit the specific Accommodation page and see full details of the package included at that location.